An excellent example of this popular model which comes with full history. The designers of this boat have managed to incorporate many innovative features to make life aboard that much more comfortable. Rear doors which all slide back to either side to allow inside to become outside space. Both seats in saloon flip over to allow forward viewing when cruising and the rear saloon seating becomes a place to sit to enjoy the aft deck. Every available space on the boat is valuable storage. 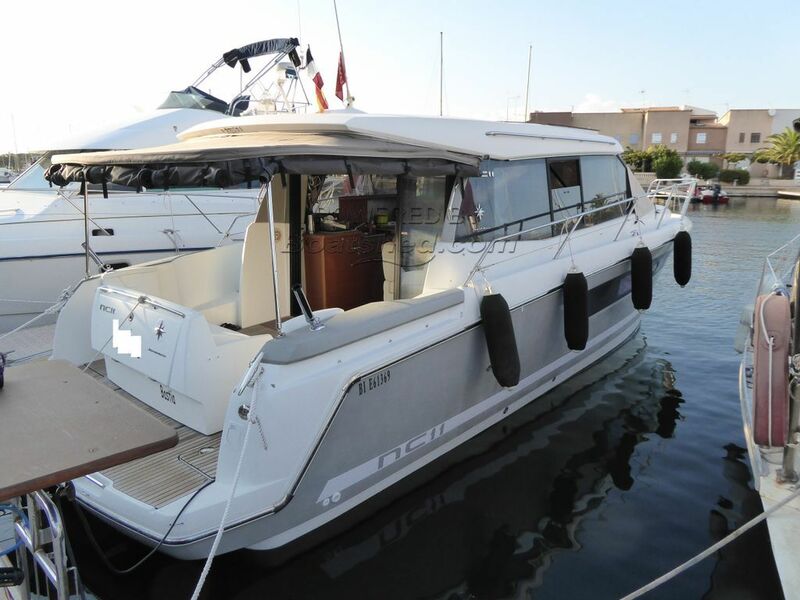 This Jeanneau NC11 Sports Express Cruiser has been personally photographed and viewed by a representative of Boatshed Sud Med. Click here for contact details.